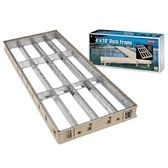 What is the differeence between the Premium Frame Kit and the Aluminum Frame Kit? Premium contains 30% more aluminum so it is stronger. 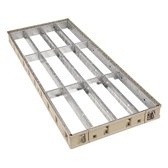 Both are .08 or 1/8" thick; however the depth is different: Aluminum side rails are 5" vs. Premium side rails at 6". Aluminum stringers are 2.75" vs. Premium stringers at 6". Also Aluminum dock Kit is extruded and Premium is stamped. 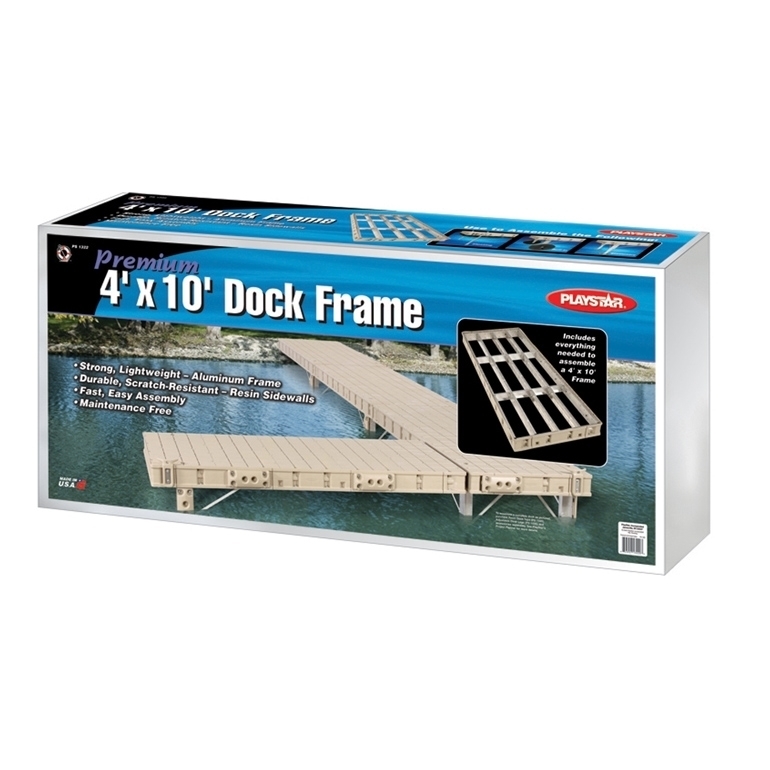 In addition, the Premium Dock frame includes built in resin side walls which provides extra protection. Can I us a different top? 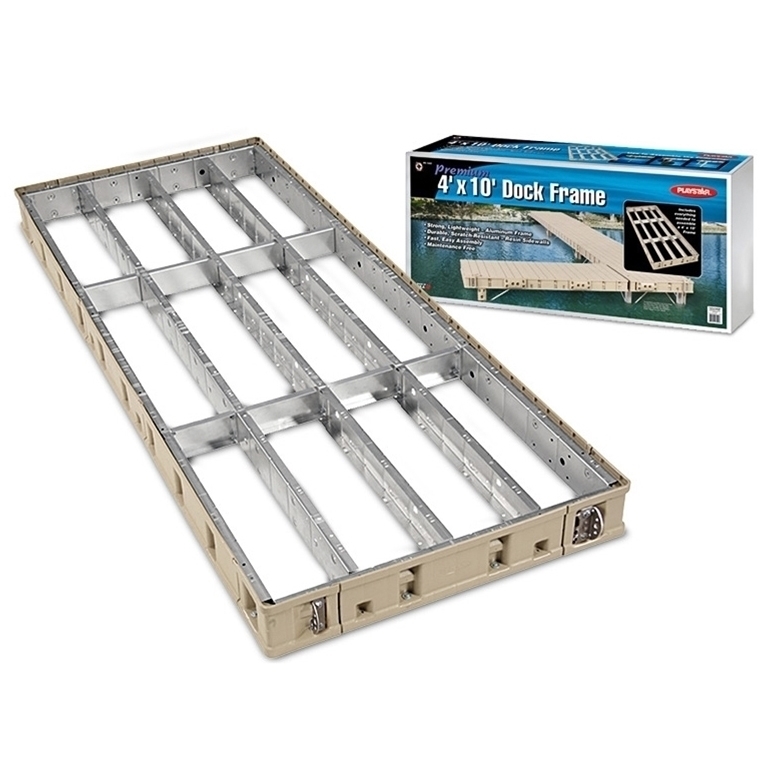 No, the Premium Dock Frame was designed specificlly for the Resin Dock Top PS 1320. 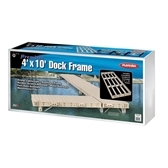 However the Resin Dock top can be used on any 4' x 10' frame that has 12" on Center.